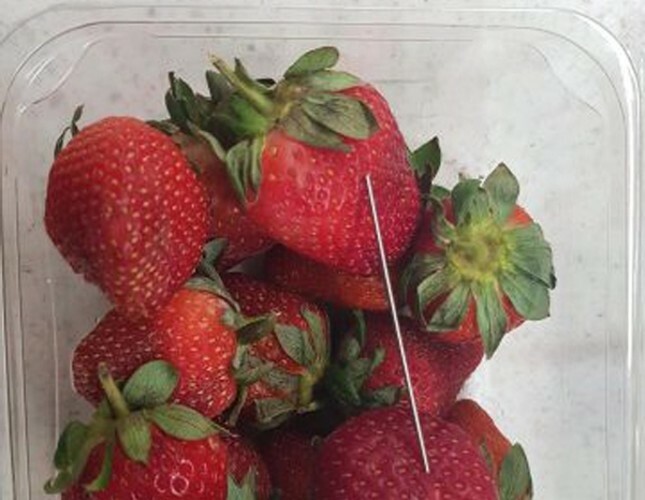 The police have said that six brands of strawberries in Australia are believed to be contaminated with needles and pins, prompting warnings from authorities to slice the fruit before eating. "Someone is trying to sabotage the industry but also in doing that, they are putting babies' and children's and families' lives at risk," Queensland Premier Annastacia Palaszczuk said at a press conference, where she confirmed the reward. Strawberry prices have dropped around the country. ABC News reported on Saturday that wholesale prices have halved to A$0.50 per punnet below the cost of production in Western Australia, where strawberries crops are now peaking, with growers forced to dump tonnes of the fruit.